Recently, I decided to look over my most popular blog posts from this time last year and I was stunned to see how many mistakes were in each post. It was time to optimize blog posts to harness more traffic and make it work for me. When I am reviewing old blog posts, I focus on the content relevant for the current season. I used to think it was best to just go back to the beginning and start there but realized I was wasting a tremendous amount of time. A more useful strategy is to consider which evergreen post where the most popular on your blog during this same time last year. You can find this information creating a report in Google Analytics. Obvious errors – Check your grammar and spelling. It should already be perfect but accidents happen. Relevance – Review the content of the post to see if it is still current or needs updating. Also check to make sure any links within the post are still functioning. Pinnable picture – Is your featured image good enough for Pinterest? The image should be vertical and have your chosen pin description loaded into the alt title. SEO keywords – Are your keywords in the title, first paragraph, subheadings, and picture alt title? If you did not previously check, use the WordPress SEO plugin by Yoast to check your search engine optimization quality. Monetized links – Does your post have at least one affiliate link? Did you place a banner ad in the middle of the post? Related content – Do you have links to additional related content on your blog and on other blogs within the post? If you do not have other related content on your blog and this post performed really well for you, write a new post on the same topic. Remember to link those posts together. 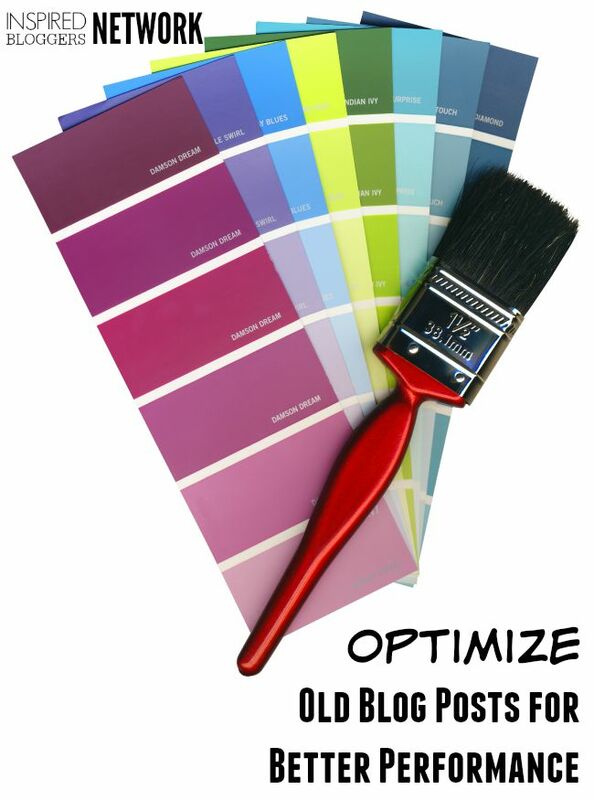 Once your post is refreshed, it is time to push out the optimized blog post into social media again. Pin it to Pinterest. Post it to Facebook. Ask friends to do the same. If you are struggling to find new ways to get traffic to our best posts take the Inspired Bloggers University e-course BOOST: Taking Your Blog’s Traffic to the Next Level. You will learn 25 different ways to increase your traffic and build your blog’s page views.